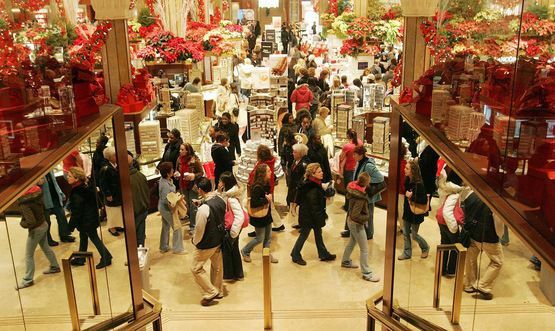 It’s become almost as much a part of Thanksgiving as turkey and football: Black Friday, the morning-after (or in some cases evening-after) shopping spree. It’s the biggest shopping day of the year, an event in its own right. Unfortunately, the massive crowds it draws can lead to parking lot accidents, exposure to thieves and those well-publicized stampedes and brawls. It’s not hard to avoid such mishaps, though. Following are a few common-sense tips from the National Crime Prevention Council, blackfriday.com and the Trusted Choice network of independent insurance agents to help ensure you have a fun and fruitful day. Decide how you’ll pay. If possible, carry only credit cards, and make photocopies so that you’ll have the account number and customer service phone number if your wallet is lost or stolen. If it’s practical, carry just one card. Call ahead. If you’re looking for a high-demand item, call ahead to find out what time customers lined up last year. Otherwise, there’s likely little need to be at the front of the line. Arriving an hour or so early should be fine. Use the trunk. If you’re going to several stores, put packages in the trunk rather than in the back seat before driving from one lot to another. Watch your step. It’s easy to trip and fall in a big crowd, especially if people are pushing. If you do fall or hurt yourself, don’t put off medical treatment. Most stores will have a first-aid kit and many will have security officers on hand to help out. Don’t buy more than you can carry. Otherwise you may be an easy target for thieves in the parking lot. If you have too much, enlist a friend or a store employee to help carry your packages to the car. Did you know? Black Friday wasn’t always a shop-til-you-drop event. One of the earlier known usages of the term dates to the early 1960’s when Philadelphia police used it to refer to the heavy traffic on the day after Thanksgiving caused by Christmas shoppers and by football fans arriving for the annual Army-Navy Game the next day.